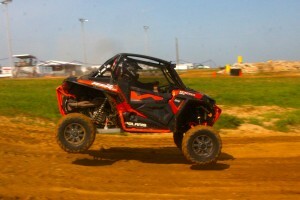 to Choccolocco Mountain to race in the UTV class, at the time, he wasn’t prepared to race Pro UTV. Each time Wes raced, he was near the top of the podium and took home the top series honors, ready to move up into the Pro UTV class next year. Many other classes ran during the Dirt Riot race day, but as the rules state, only those who race in multiple series races, and treated it like a series, will be awarded trophies as such. 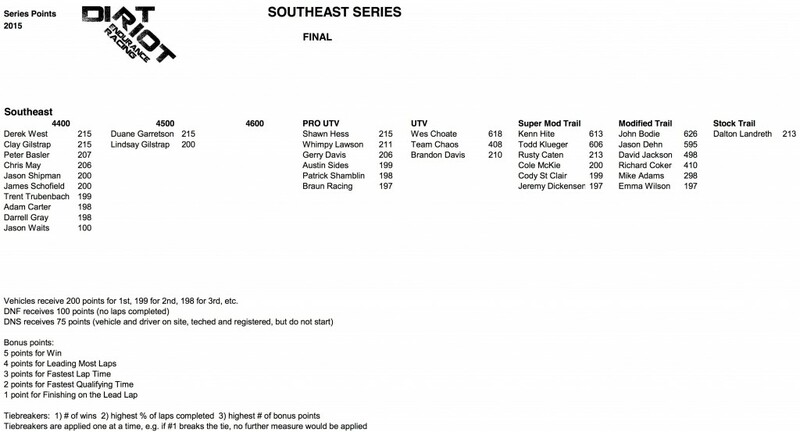 The Southeast series included racing at Choccolocco Mountain, Grayrock ORV Park and Baird Motorsports Park. The Midstates season also completed its final round last week. The Southwest, Mountain and Central series all have one more event to run before crowning champions. A National Dirt Riot Champion will also be awarded at the National Rampage September 26th in Bridgeport, Texas.